SAITAMA, JAPAN – Nathan Chen defends his World title over home favorite Yuzuru Hanyu to claim the gold medal. Chen’s American teammate Vincent Zhou rose from fourth after the short program to claim the bronze – his second major international medal in as many months. 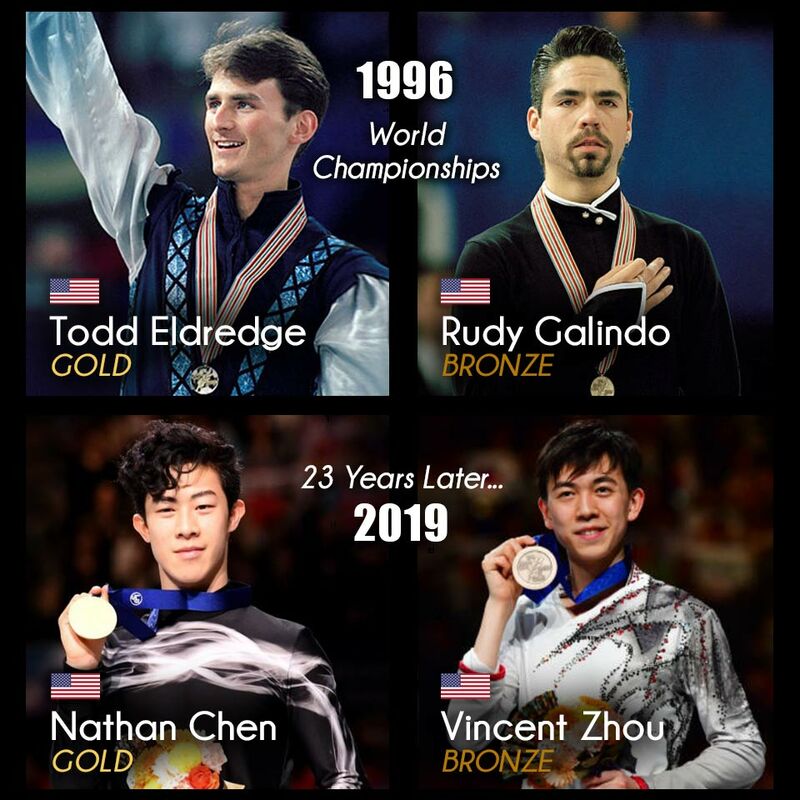 It marks the first time the United States put two men on a World podium since 1996, when Todd Eldredge (gold) and Rudy Galindo (bronze) stood on the podium in Edmonton, Alberta, Canada.